I have returned to the land of the snow after a wonderful week of warmth and birthday cake ready to tackle the Card Tricks Revolt quilt top. the inner border is on! 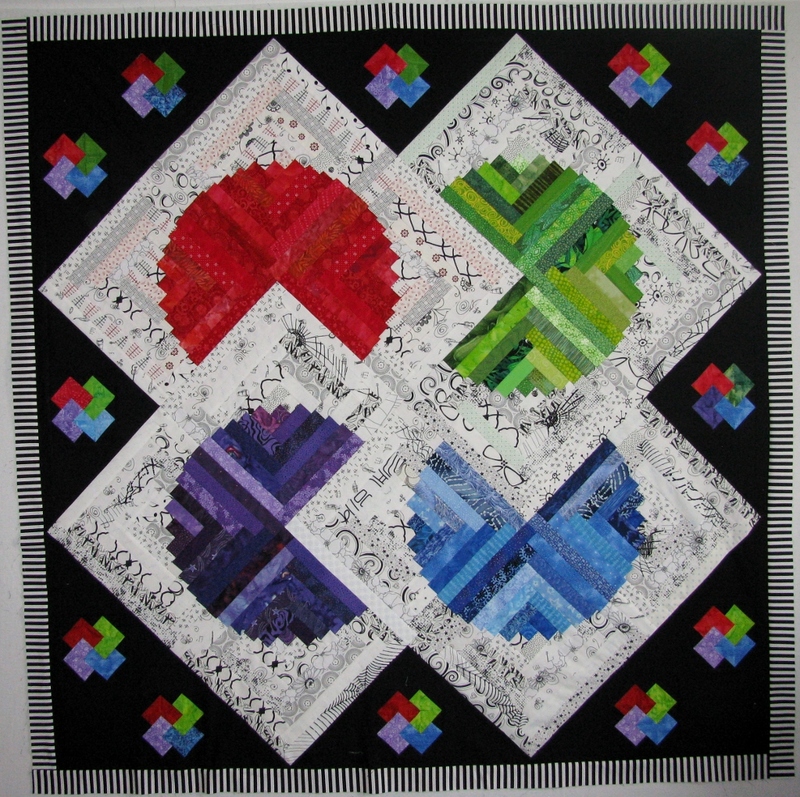 I was considering using red, green, purple and blue for the inner border, but decided that the quilt needed some of the white there instead. I am very pleased with how this is looking. Instead of putting the border on top – bottom – side – side on a square quilt, I like to cut a length equal to the top + the width of the border – 1/2″. Sew a partial seam on the first side, then work counterclockwise adding the borders strips. I don’t know if there is a name for this type of border, but I think of it as a log cabin border. Now it is time to start on the outer borders. I’ve missed your updates, Marlene. Glad to see you weren’t slacking . The B/W stripe is what it needed. Interesting border technique. I’ll have to try it. I love it. 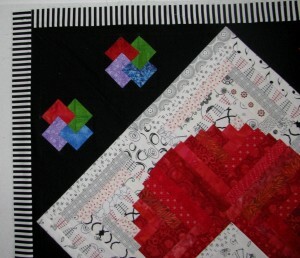 I like the border technique and may borrow it for a square sized mystery quilt I am leading for my guild! You are more than welcome to borrow the border technique. 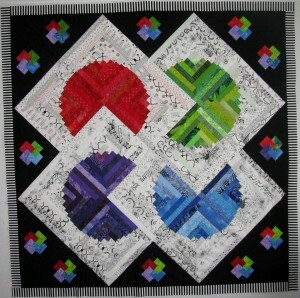 I think it makes a square quilt (especially smaller ones) look more balanced no matter which side is “top”. I would like to see a picture of your completed mystery quilt.